Up to 16 players on consoles; 32 on PC. October 29, 2009 on X360; April 13, 2010 (USA) on PS3 and PC. The Ballad of Gay Tony is the second downloadable episode in the Grand Theft Auto IV saga. Developed by Rockstar North and set in Liberty City, The Ballad of Gay Tony features a new main character, Luis Lopez, and a plot that intersects with the storylines of Grand Theft Auto IV and The Lost and Damned. 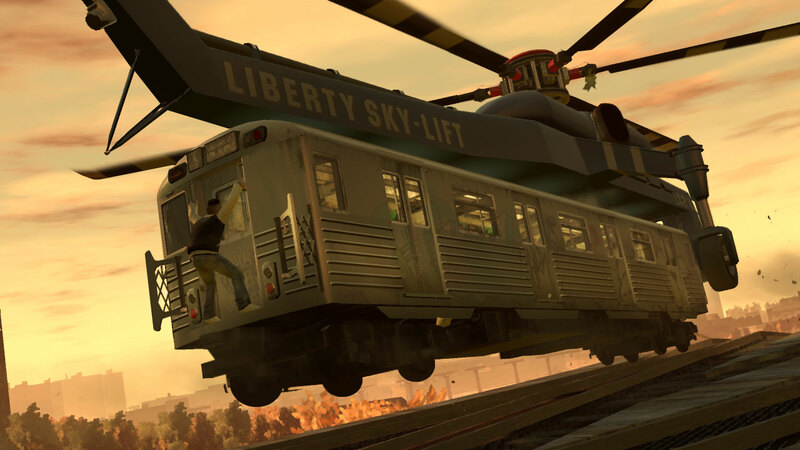 The episode provides new weapons, new vehicles, new radio tracks, new interiors, and new missions that offer a fresh way to explore Liberty City. The episode's focus on high-end nightlife contrasts with the biker gangs portrayed in the first episode, The Lost and Damned. The main character, Luis Lopez, is a part-time hoodlum and full-time assistant to Liberty City nightclub owner Tony Prince (aka "Gay Tony"). Tony has a drug addiction problem, and his clubs are at risk of going under due to mounting debts. Luis has been tasked with keeping them afloat. 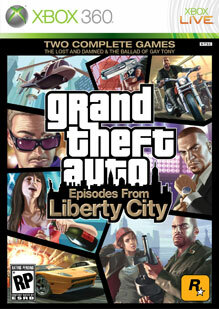 In January 2010, Rockstar Games confirmed that Episodes from Liberty City / The Ballad of Gay Tony would arrive on the PC and PlayStation 3 platforms in April. Initially, the episode was exclusive to Xbox 360. Skydive and execute parachutes! Explore Liberty City from a new perspective. The missions are more intense and more action-packed. Access three nightclubs - Bahama Mamas, Maisonette 9 and Hercules. The latter two belong to Gay Tony, and Luis has an opportunity to manage them. Mission scores and mission replays. Each mission you play is scored depending on your skill and efficiency, and you can re-play missions at any time in order to improve your scores. The missions in this episode are more action-packed and more outlandish than anything you've witnessed in previous GTA IV content. The Ballad of Gay Tony is designed to be an over-the-top experience. New cars, boats and helicopters including an attack chopper (equipped with rockets and machine guns!) called the Buzzard. The Buzzard is lighter, smaller and easier to maneuver than the Annihilator. New weapons including the AA-12 Combat Shotgun, the P90 and sticky bombs. The tank is back! Well, sort of. It's actually more like an APC. It is very similar to the SWAT Tank from Grand Theft Auto: San Andreas. New side missions and activites including Golfing, Club Management, Drug Wars, B.A.S.E. jumping and Fight Club. Several multiplayer game modes have been modified to incorporate new gameplay features such as kill streaks and assisted kills. The new weapons, new vehicles, and parachutes are also available, as well as new race routes and deathmatch locations. The Xbox version can be purchased on Xbox LIVE Marketplace for $19.99 or 1600 MS points. Connect to Marketplace using your Xbox 360 console, or visit the Xbox LIVE Marketplace website. This requires players to have Xbox LIVE membership and an original copy of Grand Theft Auto IV for Xbox 360. Players are not required to have completed the GTA IV storyline before playing The Ballad of Gay Tony. The PC version can be purchased via Games for Windows LIVE, and the PlayStation 3 version via PlayStation Network. 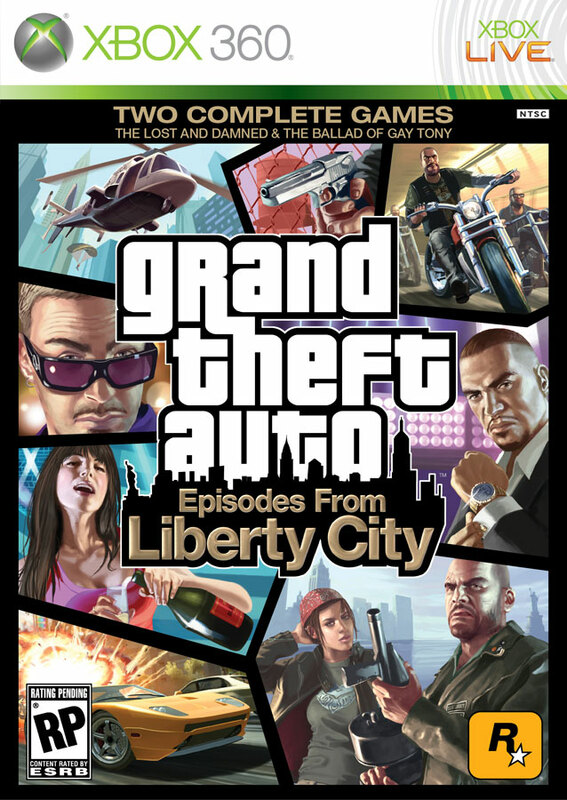 The Ballad of Gay Tony is also available as part of the Grand Theft Auto: Episodes from Liberty City bundle for $39.99, which contains both The Ballad of Gay Tony and The Lost and Damned. The bundle does not require Grand Theft Auto IV and is shipped as a standalone disc.